There are plenty of lustworthy laptops on the market, but today's most lavish machines carry lofty price tags that skyrocket when any meat is added to the bones of the default specification. Fancy a Surface Book 2 with a Core i7 chip, 16GB of memory and discrete graphics? That'll be £2,500 thank you very much. Need more power? 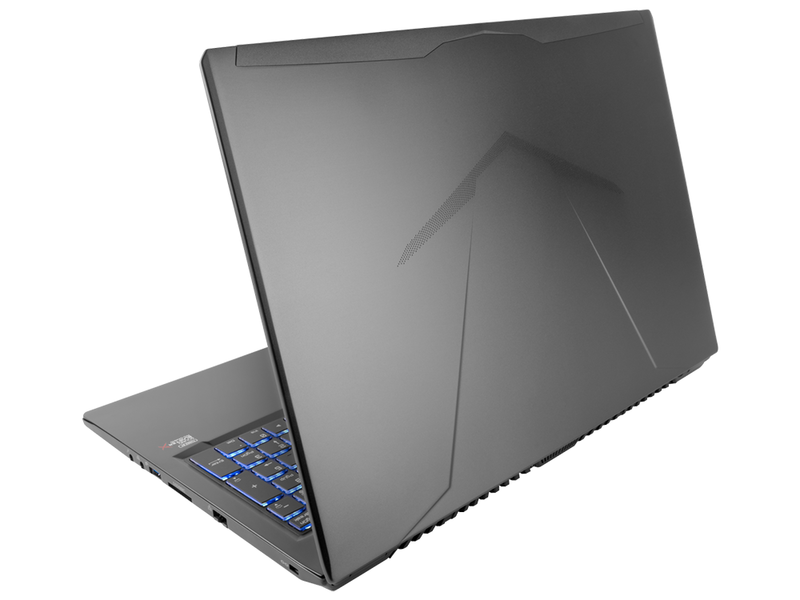 How about a Razer Blade Pro, complete with Core i7, 4K display and GTX 1080 graphics, yours for only £3,800. What's a modest PC gamer to do? One answer is to look beyond the usual suspects at system integrators such as PC Specialist. 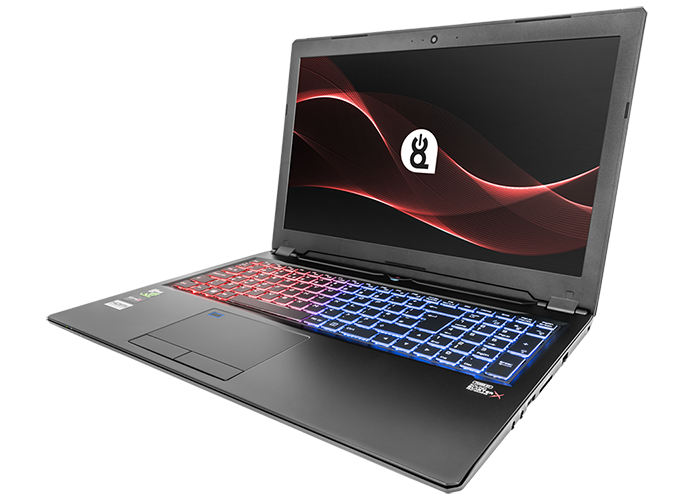 The UK-based firm may be better known for its desktop machines but has in recent years built up a solid catalogue of competitively priced laptop PCs using off-the-shelf Clevo chassis and cherry picked internal components. One such example is the Defiance XS. 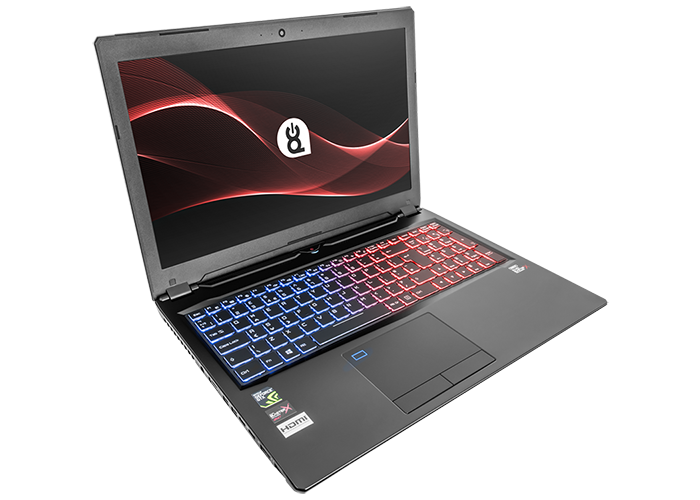 Priced from £1,200 and using the Clevo P950HP6 as its foundation, this slim-looking 15.6in machine promises high-end hardware without breaking the bank. First impressions are one of pleasant surprise. Clevo chassis have historically proven to be big, chunky affairs, but the Taiwanese manufacturer has moved with the times. The P950HP6 measures just 18.6mm at its thickest point and our review configuration tips the scales at a not unreasonable 2.2kg. Build quality has improved, too. Whereas Clevo chassis of old were primarily plastic, there's now aluminium added to the mix, giving the base a good amount of rigidity. Caveats are to be expected at this price point, however, and Defiance XS does exhibit signs of noticeable flex in the display lid, which creaks and clicks when warped. On the plus side, the display hinge is just strong enough, allowing the lid to be opened with one hand and exhibiting little-to-no wobble during use. But let's be honest, you don't buy a Clevo-based laptop for the looks or construction. The general line of thinking is to sacrifice a little in terms of overall finesse in favour of maximum bang for back. To that end, the 15.6in Defiance XS is available with a choice of configuration options that are best exemplified in our £1,500 review sample. We're hardly talking pocket change, but if you want performance you'll be pleased to learn that the specification includes an Intel Core i7-7700HQ processor, 16GB of DDR4 memory and Nvidia GeForce GTX 1070 Max-Q graphics. Add to that a 256GB Samsung M.2 SSD and a 1TB Seagate FireCuda hybrid drive and you have a potent setup. The one proviso is that the £1,500 price tag only applies if Defiance XS is purchased as reviewed using the link at the end of this editorial. A cunning tactic to garner favourable reviews? Perhaps, but this configuration at the aforementioned price point is an attractive deal nonetheless, and PC Specialist assures us review systems are generally available to purchase until a component is no longer available/EOL. Innards of this calibre deserve to be plumbed to a jaw-dropping screen, but this is one area in which Defiance XS will divide audiences. The only display option is a matte 15.6in TN panel with a 1,920x1,080 resolution and 120Hz refresh rate. On the plus side, the pixel count and refresh rate are ideal for high-quality, fast-paced gaming, but there's no support for framerate smoothing via Nvidia G-Sync. Outside of gaming, the TN screen exhibits limited viewing angles and below-average contrast. The display is a compromise, but there are no major concessions in the I/O department. The back of the laptop is reserved exclusively for ventilation, so all the ports are arranged on the sides. Defiance XS's left side is home to a couple of USB 3, dual USB 3.1 Type-C, a pair of Mini-DisplayPort, HDMI and a connector for the bundled 180W power supply. On the opposite end you'll find audio jacks, another USB 3, a multi-card reader, Gigabit Ethernet and a lock slot. There's no love for Thunderbolt, but we like the fact the laptop doesn't skimp on USB. WiFi duties are handled by an Intel AC 8265 adapter and as is often the case with Clevo designs, many of the hardware components are easily accessible for maintenance or upgrades. Undoing a series of screws on the underside allows for the bottom panel to come away, revealing the three internal fans, dual memory slots, M.2 interface, wireless adapter, 2.5in drive bay and lithium-ion battery. The latter does raise an eyebrow as the default battery pack is a relatively small 55Wh unit. Though Defiance XS utilises Nvidia Optimus technology to switch efficiently between Intel HD 630 graphics and GeForce GTX 1070 Max-Q, we don't imagine a battery of this size will last for much more than five hours when paired to components of this standard. More on that a little later in the review. Another area in which Clevo has made progress is the keyboard. The chiclet, RGB-illuminated panel offers well-sized and well-spaced keys, with no awkward adjustments to the layout. Lettering is clear, the backlight is even and customisable, and the keys themselves have a reasonable amount of travel that feels comfortable during use. There's little to criticise about the trackpad, too, which despite being a little coarse to the touch, is spacious, responsive and outfitted with two dedicated buttons. The input devices offer a good level of comfort, but these are offset by upward-firing speakers that produce a tinny sound with little in the way of bass and overzealous fans that, when the going gets tough, create enough noise to be off-putting. 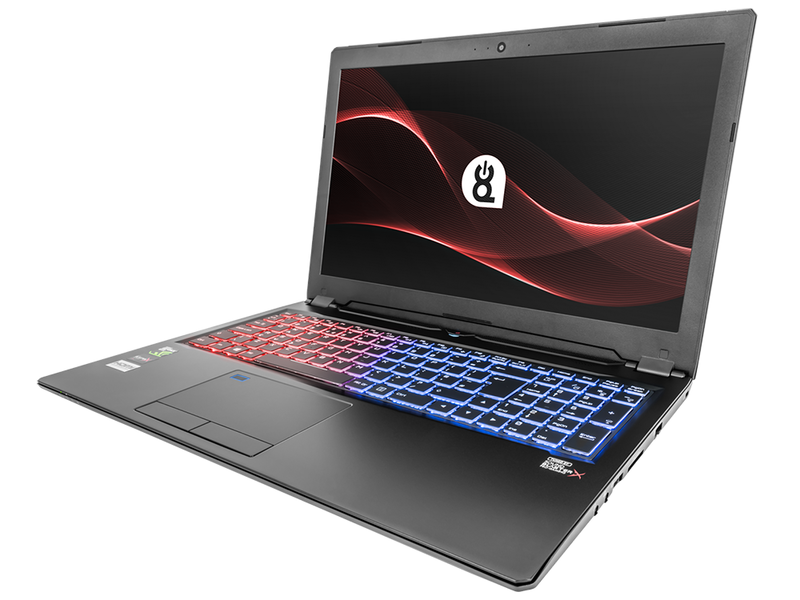 Though the laptop is reasonably quiet when idle, it doesn't take much action for fan noise and coil whine to become noticeable, and Defiance XS ultimately isn't best suited to users seeking a quiet place for work and play. PC Specialist backs the system with a three-year warranty that includes parts cover for the first 12 months, and though we've identified a few potential niggles, few gaming laptops offer this combination of CPU and GPU for £1,500. Let's take a look at the benchmarks.